In this day and age, data has become its own form of currency, and with our continued dependency for improved access internet as an essential service, any impediments that could hamstring access will have to be removed. Mobile networks in South Africa have had restrictive data policies governing mobile internet access for years, and after waves of complaints, ICASA finally heeded the call and set up consumer favoured regulations. In the wake of new regulations, many networks have had to bite the bullet and implement these new rules or face substantial penalties and loss of business. In a bid to keep consumers educated we've decided to take a look at the new data regulations of one of South Africa’s biggest networks means for its consumers. What the rule changes are and how they affect consumers. The new regulations have created a prerequisite that mobile networks need to offer customers the decision to roll over unused data and transfer data to other subscribers on the same network. The regulations also specified that data can be consumed in the order it is purchased, meaning that operators may no longer deplete newer data bundles before previous bundles have depleted. As well as allow for the transfer of data to another subscriber on the same network. These new rules are a welcomed victory for consumers, who have for years been battling disappearing data and automatic out-of-bundle pricing, which will only come into effect by the end of February. Additionally, all Internet service providers – including mobile networks – are prohibited from charging subscribers for out-of-bundle usage without consent. Why the resistance from networks for these changes? At the announcement of these regulations ICASA, Cell C approached the High Court in Johannesburg on 7 June 2018 to interdict ICASA from enforcing its amended End-User and Subscriber Services Charter. Following this action, MTN also files an affidavit in support of Cell C’s application. These actions have led to a court battle over the implementation of the regulator’s new data rules, which is now settled. Additionally, Cell C, MTN, Telkom, and Vodacom requested an extension for the implementation deadline of the new rules, as they said they needed more time to make the necessary technical changes. However, ICASA declined to grant the extension, stating it was not in the public’s interest to do so. Particularly considering the struggle consumers have gone through to achieve regulations changes. When will the rule changes be put into effect? MTN has announced that it will implement new mobile data rules as required by ICASA’s End-User and Subscriber Service Charter Regulations. “The terms of the settlement include the fact that the End-User and Subscriber Service Charter Regulations be implemented from 28 February 2019,” said ICASA. And while these new regulations will only be active next money, in keeping their consumers informed and compiling with ICASA’s data regulations, MTN customers have started receiving notifications when they have depleted or used 50%, 80% and 100% of their Monthly Data Bundle or inclusive data. These new regulations allow customers to keep track of their usage and spend, and to recharge when they need to, and it applies to both Prepaid and Post-paid customers. “Over the past weeks, we have worked around the clock to do extensive system changes to comply with the requirements of the new regulations. We are pleased that we have successfully taken a step towards complying with the new regulations, which will go a long way towards improving customer experience and helping customers to manage their data spend,” - says Jacqui O’Sullivan, Executive for Corporate Affairs at MTN SA. “This is important as the regulations provide much-needed relief to consumers by prescribing minimum standards of service in terms of which licensees are compelled to allow data roll-over, data transfer and most importantly to cease the automatic charging of out of bundle rates,” - said ICASA CEO Willington Ngwepe. 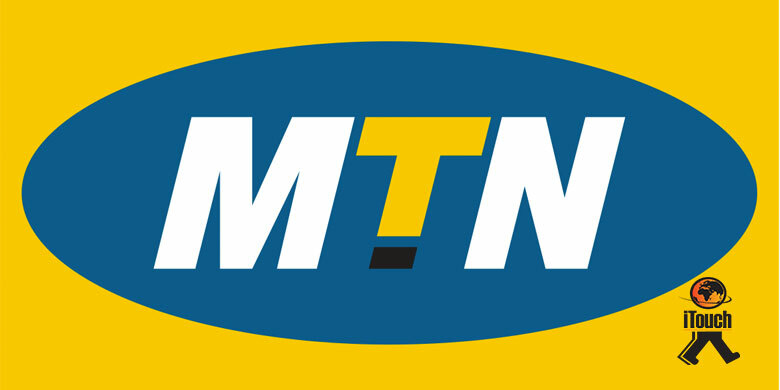 MTN South Africa CEO Godfrey Motsa acknowledged that MTN had an issue with the proposed implementation of these regulations, but said this is resolved. “Our staff is currently still busy with development and testing, but we will comply with the new data rules by the deadline,” he said. Motsa added that MTN would also announce updated offerings for its customers in January, stating that these could go above and beyond the changes required by ICASA. These new regulations will create better competition among mobile data providers and see consumers benefit from networks looking to provide superior service. Currently, Telkom leads the way with their offering of mobile data bundles sized from 25MB-500MB will now last for six months, too, with bigger packages expiring after two calendar months. We hope that mobile networks will continue to improve their services as they are they provide critical infrastructure for the growth of South Africa.